Belleville Integrative Health Centre is proud to introduce its Women’s Health Team. The Women’s Health Team’s mission is to improve the overall health of our community by providing a specialized and multi-disciplinary team of practitioners who have extensive training and education in the field of women’s health. 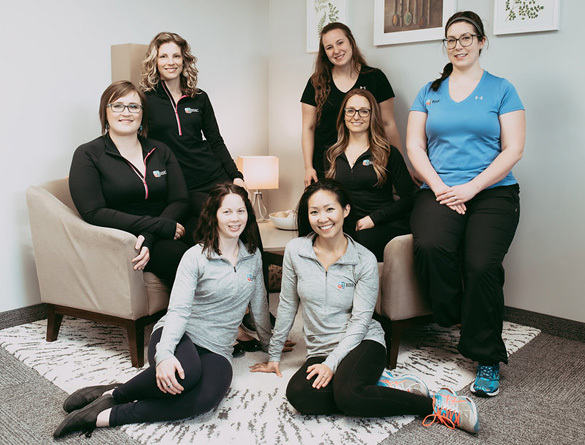 Our patient-centered a nd evidence-based approach brings together the knowledge and expertise of our chiropractors, physiotherapists, naturopathic doctor, massage therapists and occupational therapist to focus on your health. The team works extensively with family doctors, urologists, obstetrician-gynecologists, doulas, midwives and trainers to ensure treatment plans are well informed, comprehensive and personalized to meet the distinct individual needs of each of our patients.